You’re going to be a guest on the podcast. Excellent. 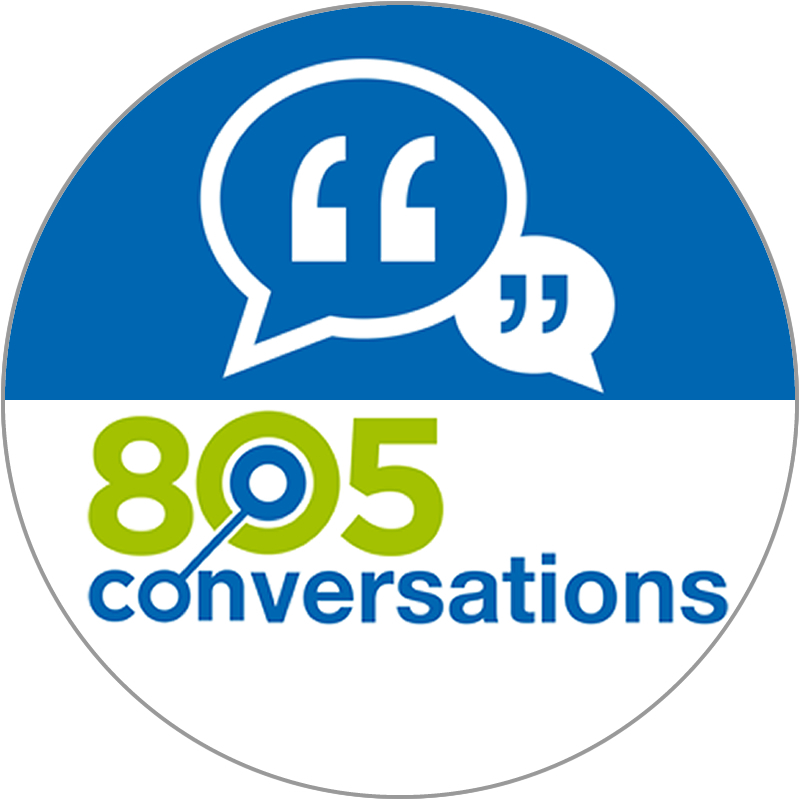 805conversations podcasts feature stories with fascinating people from the private, public and non-profit sectors. We talk with people who are just starting out on their path as well as with those who have built multiple global companies. We’ve enjoyed conversations with teachers, professors, artists, public servants, politicians, students, and solopreneurs, masters in their respective fields. We encourage you to listen to a few shows before you join us. Our Twenty Thought Leaders playlist features an eclectic collection from our more than 120 episodes (as of November 2016). Click through the list below to find a show that intrigues you. The show is 45 minutes long, though we sometimes go a bit longer. We record on Friday mornings when you’re fresh and relaxed and ready to roll into the weekend. 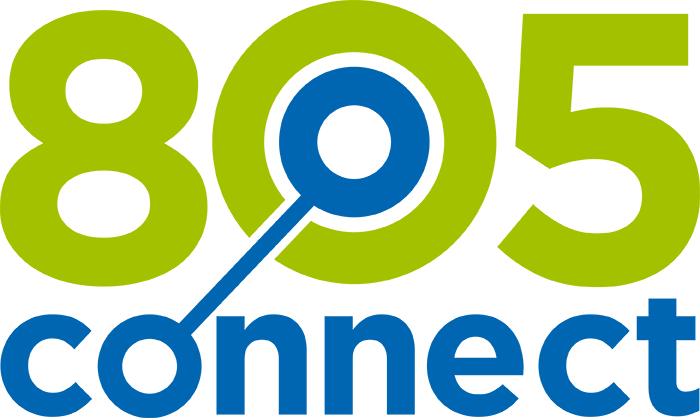 We start with a few pieces of information we may have found on LinkedIn, Facebook, your About Us page or notes you send us in an email. We don’t create a series of questions or do pre-show interviews. If you listen to the show, you’ll see that we like to find out your why, the dragons you’ve encountered along the path, and possibly three things you would like to share as teachable moments. Please get a good night’s sleep. A well-rested brain responds best to our format. We have water for you, but if you prefer coffee or tea, feel free to bring it with you. No need for a laptop, notes, talking points or a PR person. With our conversational approach, think of our time together as if we were sitting down sharing a Cappuccino. Most important, we want you to be amazing. What if you’ve never done radio or a podcast before? What should you expect? The 805conversations podcast has been the first-time experience for a lot of our guests. Many have remarked that it was a lot more fun than they expected. You will too. The format is simple so you can be relaxed and focused on a friendly conversation. We record the show in downtown Santa Barbara at Pullstring Press, Studio 111, which is in the basement of the Balboa Building. 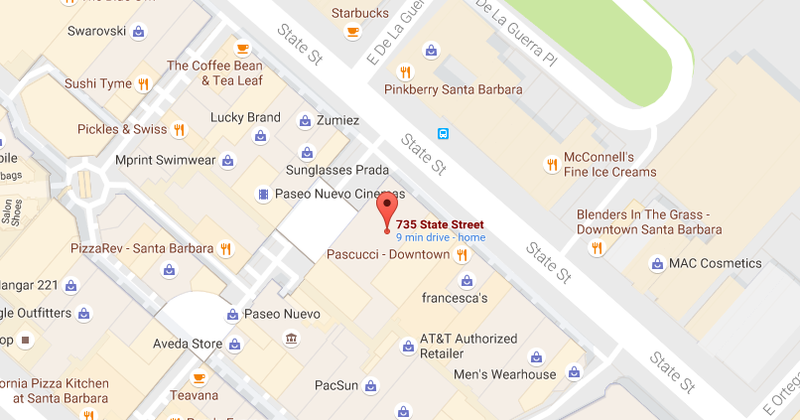 Please park in the Paseo Nuevo Mall, and make your way to State Street. Locate the front doors to 735 State Street. The Balboa Building is right next door to the Banana Republic. You will be met in the lobby near the gold elevator doors and taken downstairs. Not able to join us in the studio? If it’s impossible for you to be with us in person, we can call you at your desired location five minutes before start time. When you confirm your appointment with our scheduler, Amy, be sure to give her the phone you want us to call. Please be in a quiet area with few distractions. If’ you’d rather be on SKYPE, great. It’s an excellent way for us to see each other while we’re talking. Send us your SKYPE handle, and we’ll connect ahead of time. We will need a high resolution (at least 1800 x 1200 pixels) shot from you in a landscape (wide) format. Your photo will be used to promote the episode on the various podcasting networks, social media, the 805connect website, and iTunes. Please send the photograph a few days BEFORE your interview to podcastguest @ 805connect.com. Here is what we mean by wide, on the right, not narrow, on the left. It helps if you know exactly how we’re going to use the image. We actually have three applications. We push one image out with the show to the podcast networks. That’s the square one below. We attached one to the episode page on this site so that it shows up as a ‘featured image’ and we create one image that is used to promote the episode on social networks as well as to accompany the episode when someone shares the post using the social sharing buttons. Please notice that you should be to the left or the right of the frame, which gives us room to put in some text, typically a quote, from the show. This helps the social sharing a lot. When is the episode available? Your show will be posted 8-10 weeks after recording. Show notes are contained on your own page at 805connect.com, then cross-posted to iTunes, Soundcloud, Stitcher, Google Play and all of the major podcasting networks. We also enable sharing of your show so you can easily embed it on your website, in a newsletter or post to LinkedIn and Facebook. We encourage you to notify your mailing list, clients, and social media networks when the show launches. We’ve seen spectacular results when you amplify what we do and tell the world about your amazing show. You will get an email from us. It will include a link to this page, which has everything you need to know. You will be given several upcoming dates to consider for your episode. We typically book shows 2-3 months in advance. We record on Friday mornings and do three shows back-to-back, starting at 8:30, 9:30 and 10:30. We will send you a reminder note on Monday or Tuesday of the week you’re going to be on the show. Give us your CELL PHONE, sometimes we need to get a hold of you on the day of and it’s easier to call than email. The 805conversations podcast is a production of introNetworks, 805connect.com and Pullstring Press. We are sponsored by California Lutheran University’s School of Management and Tolman & Wiker Insurance Services. We thank them for their support and encouragement.